Introducing Eagle Glen, a master-planned family community designed and built by John Boddy Homes. Located just south of Bayly Street at Audley Road South in Ajax, Eagle Woods is just a short walk to the shores of Lake Ontario, with its scenic parks, marinas and magnificent waterfront trails. Eagle Woods will offer many nearby neighbourhood amenities including public and separate school sites, places of worship, daycare facilities and fully-equipped parks. Bus service is readily available and the nearby GO Transit and 401 provide quick access to the Metro Toronto Area, providing Eagle Woods residents all the benefits of city living with the beauty and tranquility of the neighbouring lakeshore. 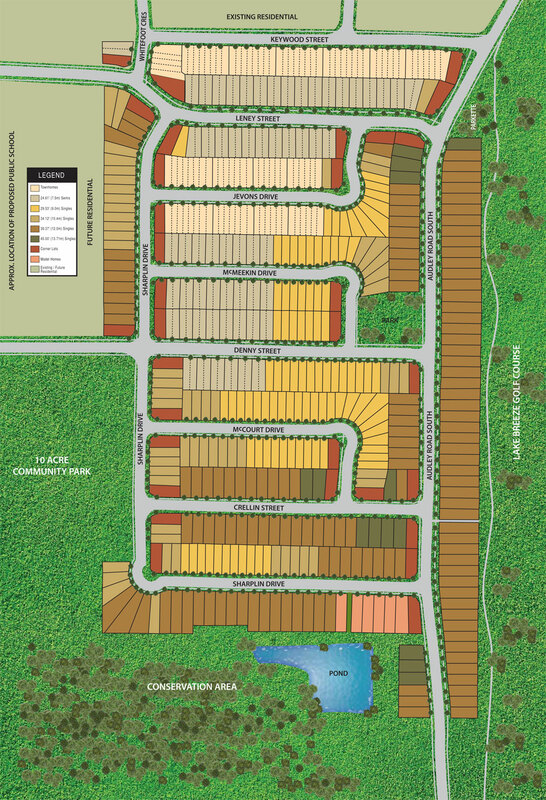 The community will have over 550 homes in a wide variety of styles including townhomes, semi-detached and singles, with sizes ranging from 1700-3500 sq.ft.